I used to wonder what the hell was wrong with me. I set goals, I start with vigor and excitement, things get a bit difficult, and I give up or find an excuse as to why it will fail. For me, this was just normal behavior. I told myself I was being “nimble” when in reality I was going nowhere. There was something deep inside me that was telling me, “give up.” At the end of the day, it all comes down to self-esteem, loving myself, and making a plan to keep it that way. Everything worth having takes work, including personal growth. The “Turning Point” Program is not just an ebook, it’s a lifetime entry into a group of people looking to help others to unleash the winner that is buried inside all of us. 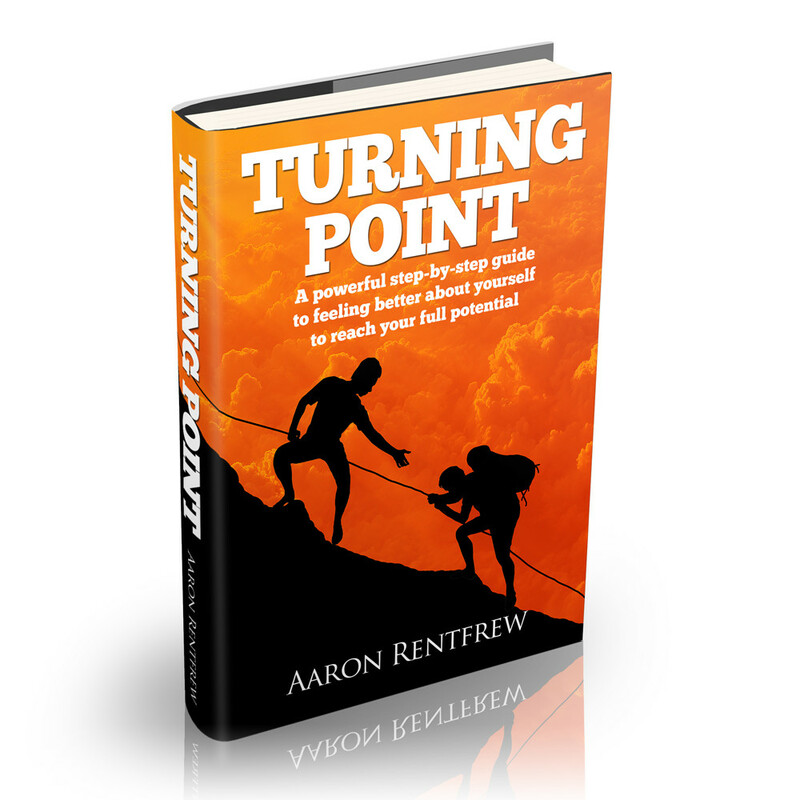 In the “Turning Point”, you will find my personal story and how I dug my way out of depression, addictions, fears, and low self-esteem to be the man I am today. I will lay out a step-by-step guide on the path I took to feel better about myself and provide you a platform to do the exact same thing! Today, I live a life beyond what I used to think was possible. I travel, I help others, I am extremely healthy, I own several businesses, but above all I love myself and I’m happy! This isn’t just a how-to guide to rebuilding your self-esteem, it’s also a strategy for making the change stick for good! Author Aaron Rentfrew serves up over 200 pages of techniques, strategies, and personal advice on personal growth and goal achievement. Included with the book are outlines and worksheets for the phases, Membership to the Living Right Newsletter and Forum. In the Turning Point, you’ll find the personal stories of the Aaron and his early struggles and documents the path he took that lead to his “turning point.” From the depths of depression and despair to leading teams of people as an executive, business owner, and entrepreneur; Aaron’s real passion is helping others that are struggling to find a way out. In addition, there are guides to Goal Achievement, Meditation, Relationships, Diet, and more! If you’re struggling and looking to make a change that will stick than this book is for you. If you want to remove things that are holding you back to be more successful than this book is for you. By the end of this book, (provided you put in the work) you will undoubtedly be ready to take on life and feel better about yourself!